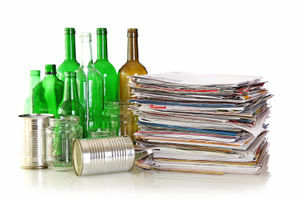 America Recycles Day is a day dedicated to raise awareness and encourage recycling and purchasing of recycled products. Many communities organize events to educate and increase the number of people who actively recycle. Recycling helps to conserve our natural resources and reduce both energy consumption and global warming. Celebrate this day by making the decision to recycle or participate in an event to teach others the benefits of recycling. America Recycles Day was started in 1997 by the National Recycling Coalition. In 2010, Keep America Beautiful took over stewardship of the holiday. More information on this holiday can be found here. This page was last modified on 3 November 2017, at 11:22.